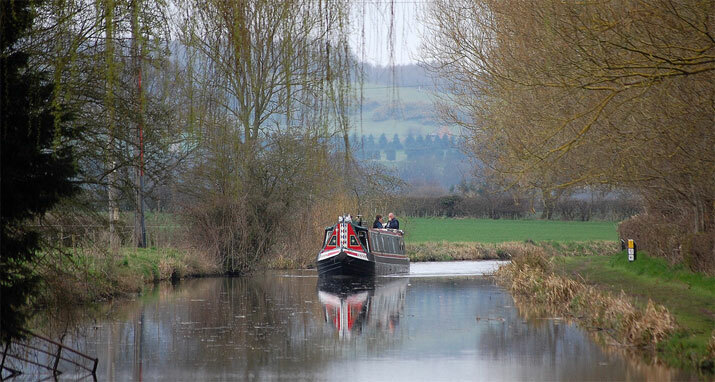 Choose to take your boat on the Staffordshire and Worcester Canal from Stafford through the gently undulating West Midlands countryside all the way to the junction with the River Severn. You can expect rolling farmland and valleys skirting the fringes of Birmingham without ever encountering anything truly urban. This canal is currently a section of 2 cruising rings, and has become one of the best ways to explore this region. Moor up and find a very warm welcome at the many waterside restaurants and inns along the way. 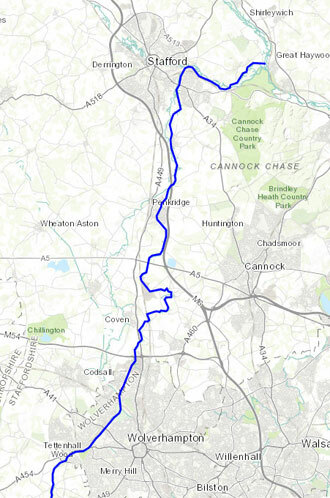 The waterway stretches from the Trent & Mersey canal, near Stafford in the north, to Stourport in the south where it joins the River Severn. 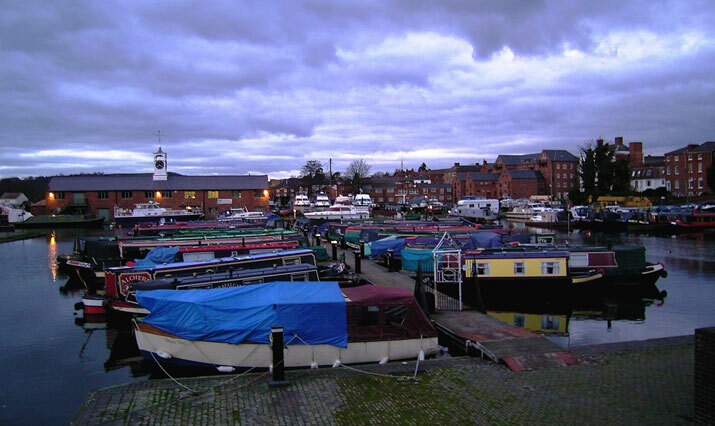 At its southern end, at the Stourport Basins in the town of Stourport it joins with the River Severn. It run close to the important wetland habitat on the River Stour. Approaching Kidderminster and Kinver you will notice some unique sandstone cliffs. 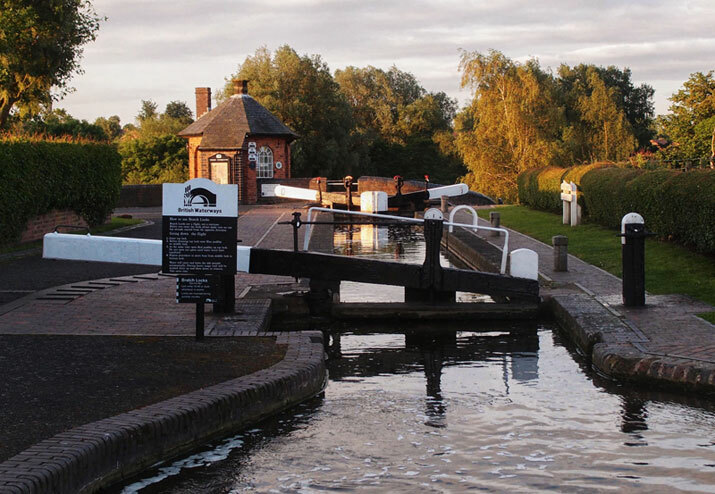 At Bratch Locks you will find some of the most beautiful canal buildings in the UK. It is the perfect spot for a family outing. The locks here can be challenging to operate if you have not done so before but there’s a remarkable octagonal toll-house in which you will find the lock keeper during the the summer months if required. The village of Kinver along with the neighbouring sandstone hills/cliffs bring lots of visitors. Kidderminster once was the heart of carpet manufacturing it is now a terminus for the Severn Valley Steam Railway. Stafford lies at the northern end of this waterway and has numerous wonderful historic buildings and is definitely well worth visiting. Finally the canal runs beneath and untamed pine forests the heathland of Cannock Chase. Then past the remarkable Shugborough Estate, prior to connecting to the Trent and Mersey waterway.